Lorenz two wheeled shopping trolley with a fixed handle. Features one main compartment under a flap with drawstring fastening, a rear zip pocket and a pouch pocket. 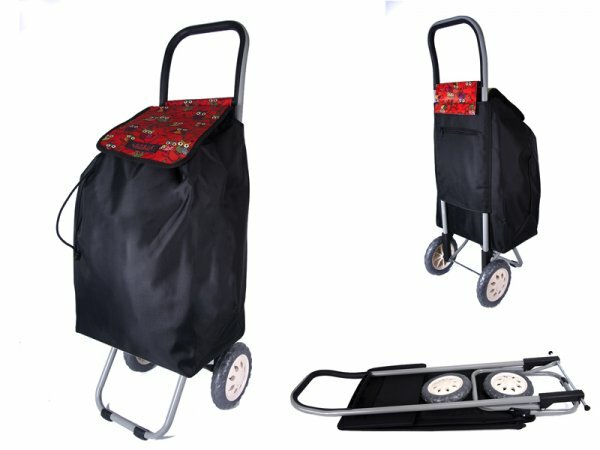 The trolley can be folded for easy storage. Metal trolley height is 93cm.